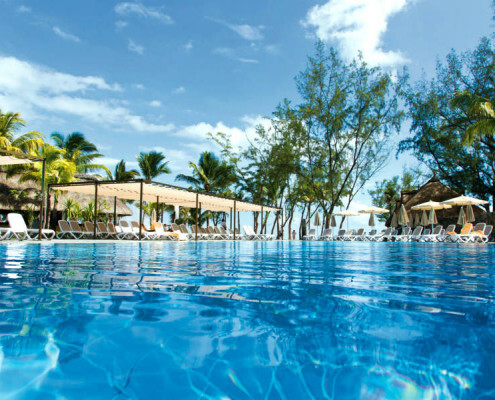 Within the Riu Resort, the All-Inclusive 4-Star Hotel Riu Le Morne is located on the peninsula at the foot of legendary Le Morne Mountain, on a white sandy beach and surrounded by a lush tropical garden. 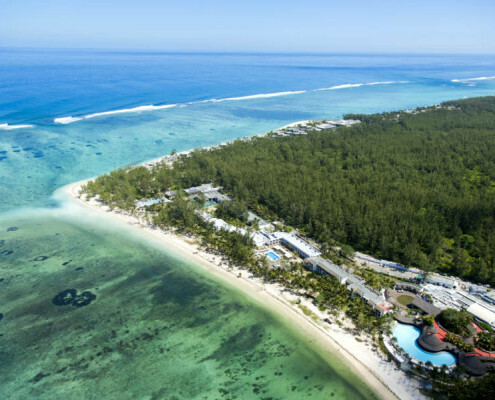 A stylish ADULTS ONLY all-inclusive hotel that exudes luxury and disseminates its unique culture, Hotel Riu Le Morne is in an idyllic setting close to nature. Indulge in a wellness break in a place of culture, grace and beauty that stimulates all your senses or for the more adventurous, a wide range of water sports beckons. Guests may use the restaurants and facilities at the nearby Hotel Riu Creole, part of the Riu Resort. 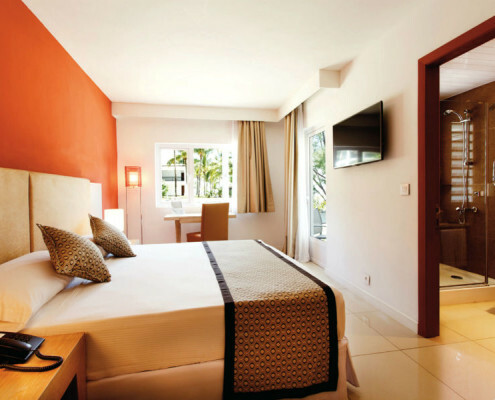 The hotel is on the south-west coast, 60 km from the airport and 60 km from the capital, Port Louis. 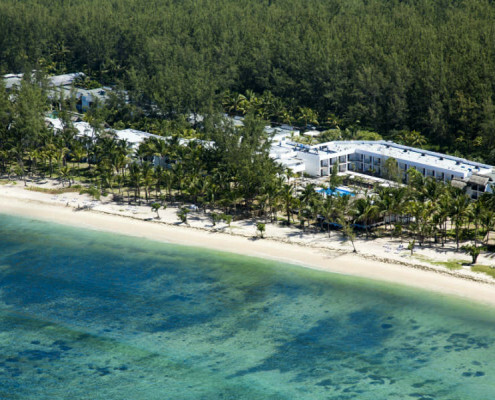 Hotel Riu Le Morne offers a choice of large Double Rooms in two layouts, with a garden or partial sea view. Spacious Double Rooms have a double bed, bathroom with shower and a garden view. Superior Double Rooms have a bathroom with shower or bathtub and shower, sitting area, one or two double beds and partial sea views. All rooms feature a bathroom with bathtub or shower, air-conditioning, satellite TV, telephone, free Wi-fi, mini-bar, safe, hairdryer, electric kettle and a balcony or terrace. 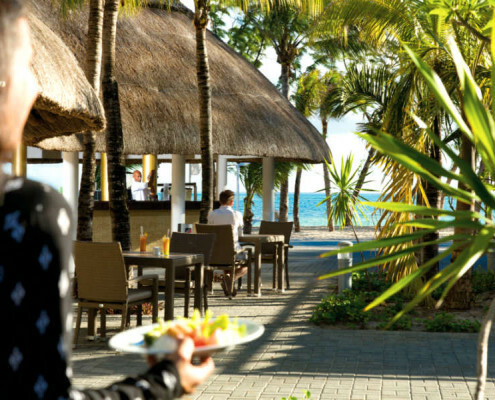 Hotel Riu Le Morne offers a variety of bars and restaurants with cuisine to satisfy all palates. The La Riviere main restaurant is open for all meals, offering a Continental or buffet breakfast, buffet lunch and buffet dinner and live cooking stations. Special themed buffets are offered 3 nights a week. 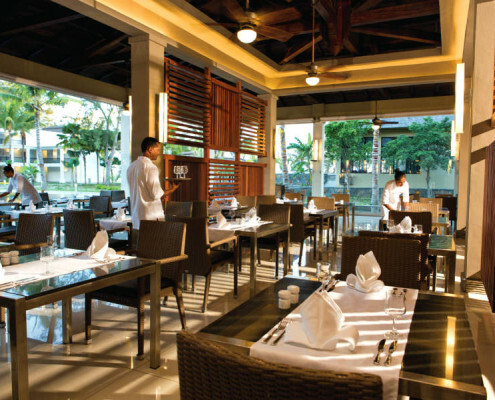 An alternative to the main restaurant is Kulinarium, our à la carte restaurant offering a wide variety of choices. Reservations required. 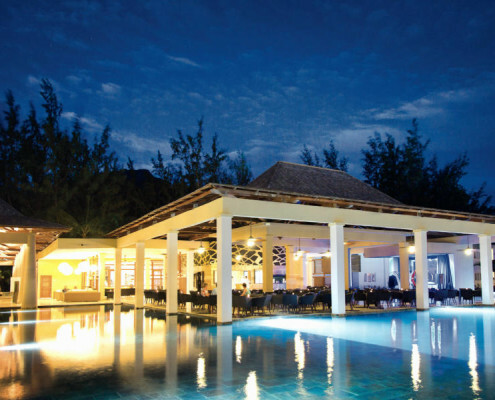 Enjoy a quiet refreshment from an international selection of exotic cocktails as well as homemade rums at one of our bars; Maravanne our lounge bar with a terrace and stage, Biryani the poolside snack bar and the Manawa poolside bar with a Chill Out area. 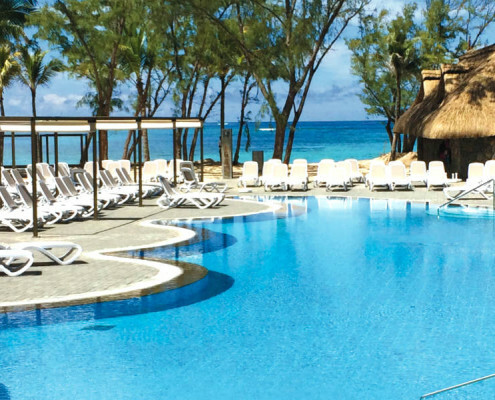 Guests may also use the bars and restaurants at the Hotel Riu Creole. Restaurant reservations required. Our entertainment includes a daily daytime entertainment programme or live music several times a week. Karaoke several times a week, daily live music, shows or the RIU evening programme are all offered at the Hotel Riu Creole as well as free entry to La Perle discotheque, open most nights of the week. Swimming pool, Kayaking, wind surfing, surfing, stand up paddle, kite surfing, snorkelling, Scuba diving, RiuFit Gym, volleyball and golf. A daytime entertainment programme for children ages 4 to 7 and ages 8 to 12 is offered at RiuLand. The Renova Spa at Hotel Riu Creole is dedicated to wellbeing. Our team of professionals will welcome you in a luxurious and refined environment where we offer a selection of treatments, massages, beauty salon and hairdresser. Renova Spa features a free whirlpool bath, Hammam and Gym.